What is better than a camera drone? A camera that can not only take beautiful shots from the up above, but can also stream and record live videos! Take the pilot seat and be ready to get the awesome views with this Axis VIDIUS FPV-Camera Drone. You don’t need a bulky, FAA-registered drone to get a view from the pilot’s seat. 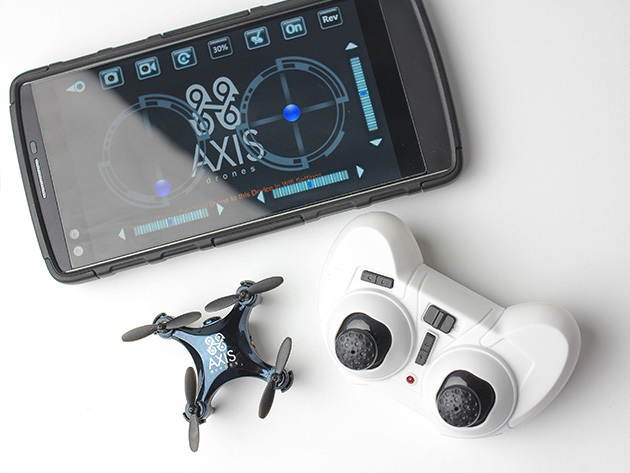 The Axis VIDIUS Drone may be small, but it offers a live first person view from its built-in video camera! You can flip, roll, speed through narrow spaces, and more while streaming and recording your every move. The live video feed is transmitted to your Apple or Android device via Wi-Fi, and can even be shared instantly with the VIDIUSDrone App. Plus with an 100-foot range, you can explore far and wide without lifting a foot. Don’t worry about FAA registration! With a 21% discount, Wccftech Deals is offering this smallest drone camera for just $74.99. With free shipping, get this tiny little camera drone and start enjoying the top view!